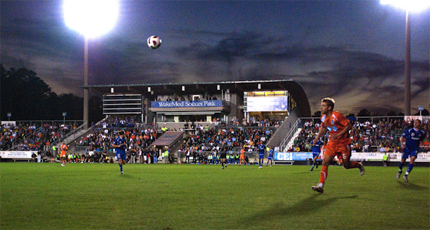 Analysis: Carolina suffered the biggest issue with a split season where despite having the most wins in the NASL last season they finished 2nd in both seasons, so they missed out on the 2013 Super Cup finals. Gone is NASL leading scorer Brian Shriver, although Carolina return with a strong squad and hopefully a healthy Nick Zimmerman, who missed the entire season with injury after scoring 15 goals during the 2012 NASL season. 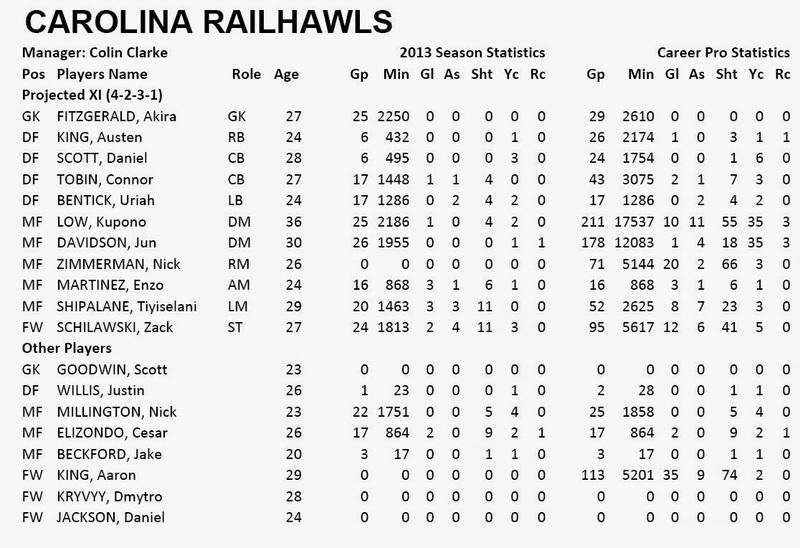 The Railhawks also have a number of players with MLS experience, including former Vancouver Whitecap Jun Marques Davidson who with Kupono Low should give Carolina a strong defensive midfield. Other key players are creative midfielder Enzo Martinez as a permanent player who joined the club on loan last season and was a highly regarded prospect going into the MLS after leading UNC to a national championship. I expect the Railhawks to be competitive, although a striker will need to be established if they are to challenge for a playoff place.